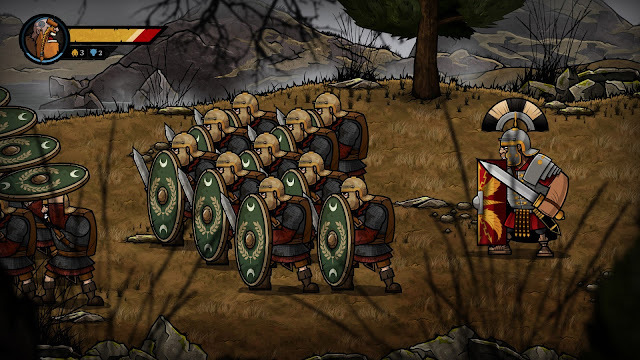 The Roman invasion of Britain in the early turn of the century was a bloody one, with scars left across the isles even today – and Wulverblade takes this period and uses it as a setting for one of the most violent beat-em-ups on the market. Developed by Fully Illustrated, this is a game with a surprising amount of verisimilitude, both for its 1980’s beat-em-up sensibilities and its 100AD narrative focus. The gameplay is reminiscent of early beat-em-ups like Golden Axe, before the genre got flashy due to influence from the fighting game craze. Combos are kept short, rounded out with context-sensitive situational weapons and simple special moves: really the only things which prevent the game from becoming a button masher are shielded enemies which require a “break” move before they become vulnerable. It’s less about the joy of executing difficult combat moves, and more about the primal thrill of hitting stuff – which isn’t bad in itself, but it’s something more conducive to the arcades where you’d play it once or twice compared to a game as lengthy as Wulverblade which you’re compelled to finish. I do need to disclose my own biases, since I was a bit young to play Golden Axe when it first came around, and upon my first try I detested it. I managed to brawl my way through the Streets of Rage’s and Double Dragon’s of the world, but I always thought that the genre felt a little empty, archaic and designed with intent to drain quarters from arcade-goers. 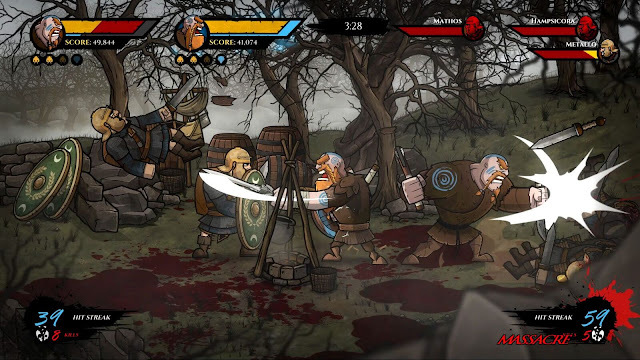 Wulverblade revels in inspiration from these games (even featuring a coin mode for the authentic arcade experience) but adds a few modern twists – a block and a dodge roll for example – although it’s still not a strategic nor a complex game by any means. I just feel as though there’s only so much depth that can be drawn from the beat-em-up genre, and Wulverblade suffers at times from that very limit. I’ll be honest though, I did not expect the depth of historical accuracy hidden in the game’s various collectible leaflets. The game’s historical background is meticulously researched, clearly as a labour of love from its developers. 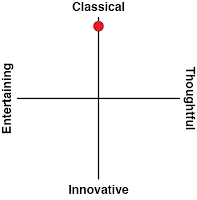 The ethos is not placed solely on accuracy but also on engagement, helping readers build an emotional resonance with a world far removed from the 21st Century. Often I found myself lost in reading these notes: history buffs should consider this game for these alone. 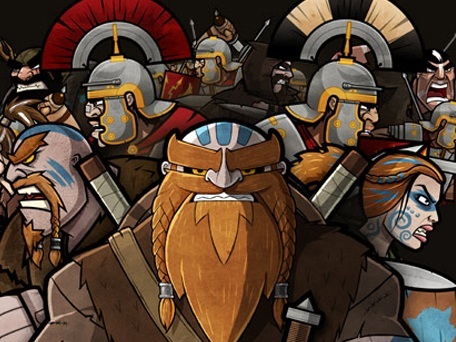 That being said, there’s a palpable oil-and-water dichotomy in Wulverblade’s design that I could never quite shake despite the game’s lengthy runtime – I loved the history and I could tolerate the beat-em-up shenanigans, but reading history meant taking a break from beating people up, and the hyperviolent revelry of the gameplay does not set the tone for historical exploration. I understand the intent: the Roman invasion of Britain was a visceral event driven by ruthless personalities, but I could never figure out if I was supposed to enjoy the violence or not. The restrained prose of the historical notes is fascinating enough to make me reflect on the futility of conflict, but seconds later the game encourages me to pick up a severed head and toss it as a weapon. One could reasonably play through the game unlocking all the historical leaflets and read the whole lot in one go at the end, but then again one could also play Castle Crashers in the morning and read The Inheritance of Rome in the afternoon. The game’s story is unfortunately caught right in the middle of the crossfire – it wants to be more than a one-sided hero story, but it’s also participating in a genre which doesn’t lend well to a complex, sweeping narrative. As a result, it hooks players with a simple revenge plot while sprinkling some deeper elements here and there. Developers Fully Illustrated have pulled out all the stops for gorgeous art that leaps right off the screen backed by some decent voice acting, but most players won’t be here for the story. Wulverblade is a game about killing things in all sorts of manners, except on occasion your fallen enemies drop elegantly written pieces of history. The historical setting, the devotion to detail and colourful artstyle are sure to draw its share of fans, and the gameplay is also a perfectly functional modern reimagining of 80’s era beat-em-ups. 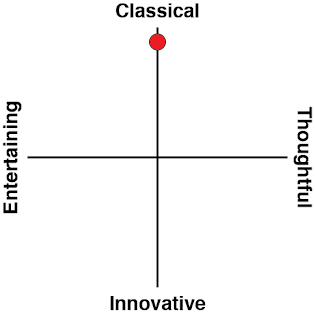 It is my dream that there forms a devoted fanbase who appreciate both of those things, but for now this is a game divided between two aims.